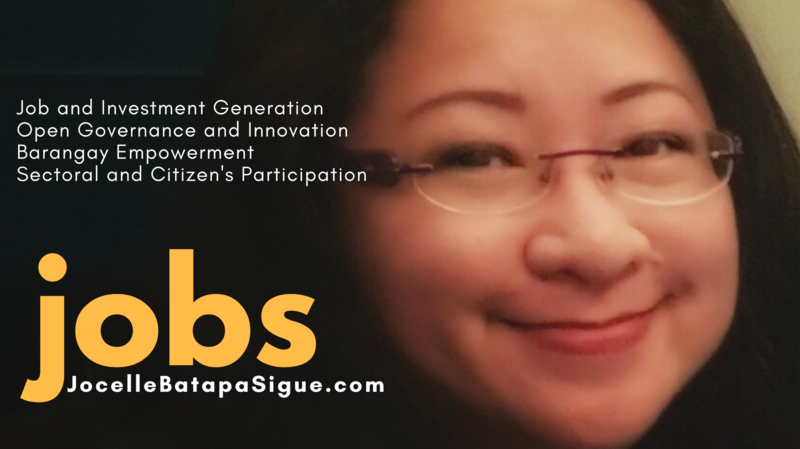 It is so inspiring to see the fruits of our strong government-academe and industry collaboration, our constant engagement with schools and talent development stakeholders, our grit and determination to continuously challenge and redesign our own strategies to adapt to the requirements of global digital services. This feat is also because of the support of the community and key public and private organizations and institutions especially to our our growing startup and digital workers community. It is a big feat for a mid-size city like Bacolod to be among the six cities of the Philippines named under the Top 100 Super Cities in this year’s Tholons report. Last year, out of nine cities already in the list for 2016, Bacolod barely survived as it dropped from 85 to 97 because of a new criteria – digital and innovation. Last year, we measured low for Digital Innovation just enough to be still in the top 100 at 97. But this year, we measured more than double in this criteria, and add to that, its weight increased from 20 to 25 percent. I am so proud of the efforts of all members of BNEFIT, our official ICT council recognized by DICT and NICP since 2008. It is our 10th year this year and we are truly grateful to our public and private sector partners – the city and provincial governments, the schools and companies and most especially our tech-startup communities. This year we have pioneered several activities including for a and workshops on disruptive technologies like blockchain, AI, IOT, cybersecurity, game development, design thinking and many more. We are likewise happy to see the Philippines regain its second spot in the Top 50 Digital Nations, and all other cities, namely Manila Cebu, Davao, and Santa Rosa move up with Iloilo re-entering the list. As of December 31, 2017, we have identified 28 IT-BPM and IT-enabled companies in Bacolod engaged in outsourcing to foreign markets. In total, these companies generate approximately 30,000 FTEs/direct jobs and 90,000 indirect jobs for Bacolod and Negros Occidental. These data allowed for 10 % additional FTEs for companies not in our radar. Based on PEZA formula and an estimated total of 25,750 FTEs in the IT-BPM Space – total investments in Bacolod and Negros Occidental of these companies reach 65 Million USD or 3.25B Php. At a very conservative estimate of 10,000 PHP (low) per FTE/month – the total salary of 300 Million PHP a month or 3.6 Billion PHP annually. Bacolod and Negros Occidental currently has 30 accredited IT zones under the Philippine Economic Zone Authority (PEZA) of which 16 already have presidential proclamations. Bacolod City is one of the centers for excellence in IT-BPM since 2013. We are the fourth to be cited as COE after Manila, Cebu and Clark. In 2016, Davao and Iloilo were also named as COE. Currently we are No. 97 Super City in the Top 100 Super Cities of Tholons International. Bacolod and BNEFIT have been awarded during the FLARE Awards of the IT Business Process Association of the Philippines (IBPAP) last 2016 as Beacon for all cities in the IT-BPM sector. Let’s continue our hard work as we move towards 60,000 FTEs in 2022. TGSI is the leading touchstone to benchmark the accelerated digital transformation of industries and services globally, which evaluates, ranks and provides location strategies to multinational corporations, countries, governments, multi-lateral agencies, analysts and investors. The biggest weight, which is twenty-five percent, in the index goes to digital innovation, which is now a critical element in disrupting and transforming industries globally. Technology, business process management companies and multinational corporations are all aligning with the stark reality of digital innovation and transformation. Tholons International location assessment methodology integrates both primary and secondary research. Tholons utilizes surveys and interviews with service providers and buyers through its extensive network of industry stakeholders including buyers and suppliers of services, governments, trade bodies and associations to collect and validate data and analysis. They also make use of secondary research methodologies to gather volumes of historical data and various statistics and economic related data from governments, global institutions and agencies, and monetary bodies. Tholons employs a combination of quantitative and qualitative analysis in developing the weighted rankings, making their proprietary ranking framework continuously evolve to align with most of the current market realities and demand. In 2017, TSGI’s ranking was published with traditional factors such as Talent, Skill and Quality, Business Catalyst, Cost, Infrastructure Risk and Quality of Life, having 80% weightage, with 20% weightage for digital transformation. The TSGI’s 2018 ranking puts traditional with 75% weightage and digital with 25% weightage. Tholons consider Digital and Innovation as the lifeline of today’s businesses. Businesses must embrace digital technologies and platforms like social media, mobile technology, cognitive computing, cloud and artificial intelligence to cater to the changing demands. The parameters for Digital and Innovation are open innovation ecosystem, number of startups, startup diversity and maturity, innovative policies and incentives, unicorns, cyber security, global digital competitiveness, digital literacy rate i.e. the number of people using internet, digital evolution, digital talent and high-tech patent grants, business agility, usage of RPA/AI/cloud, investors and ease of doing business.